Your toolbox can make or break you. Find everything you need to save time and do the job right, including caulking guns, crimpers, punches, tapes, levels, snips, seamers, drivers, bits, and the latest innovation in gutter machines. Add a new tool to your collection or make an upgrade to something that works as hard as you do. Caulking gun is required with many caulking tubes and used to hold and apply contents. Downspout Crimpers reduce width of the downspout opening without deformity for smooth, easy fit with elbows. Caulking Gun: Rugged caulking gun with rotating barrel for application in hard-to-reach places. Stop flow feature prevents caulk from flowing or dripping. Downspout Crimpers: Heavy-duty construction and great handle strength that resists abuse, elements, and collapse. Longer, shallower crimps produce a tighter fitting, self-supporting, leak-proof connection. Levels ensure that surfaces are plumb and level. Tape Measures give flexibility to measure length, width and circumference. Torpedo Level: 9 inch level with 3 vials featuring rounded, torpedo-like end plates that will not scratch work surface. Grooved working edge designed for use on pip and conduit. Tape Measure: Designed for quick rewind and heavy use and abuse. 100 foot version fits in tap holder on most gutter machines. Shearing and cutting metal and vinyl. 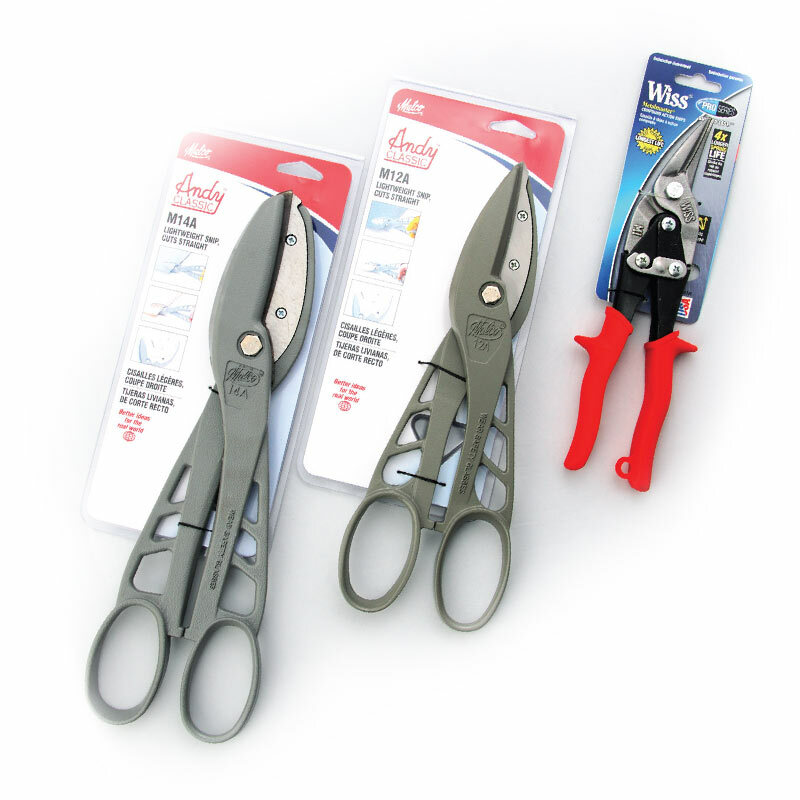 Used for straight shearing, mild curve cuts, and multiple layers of materials. Blades are easily replaceable. Hand Seamer creates uniform, accurate bends and straightening in sheet metal. End Cap Crimpers attach end caps to gutter. Hand Seamer: Wide, 6 inch jaws give greater control and efficiency, and minimize bucking and bowing of metal. 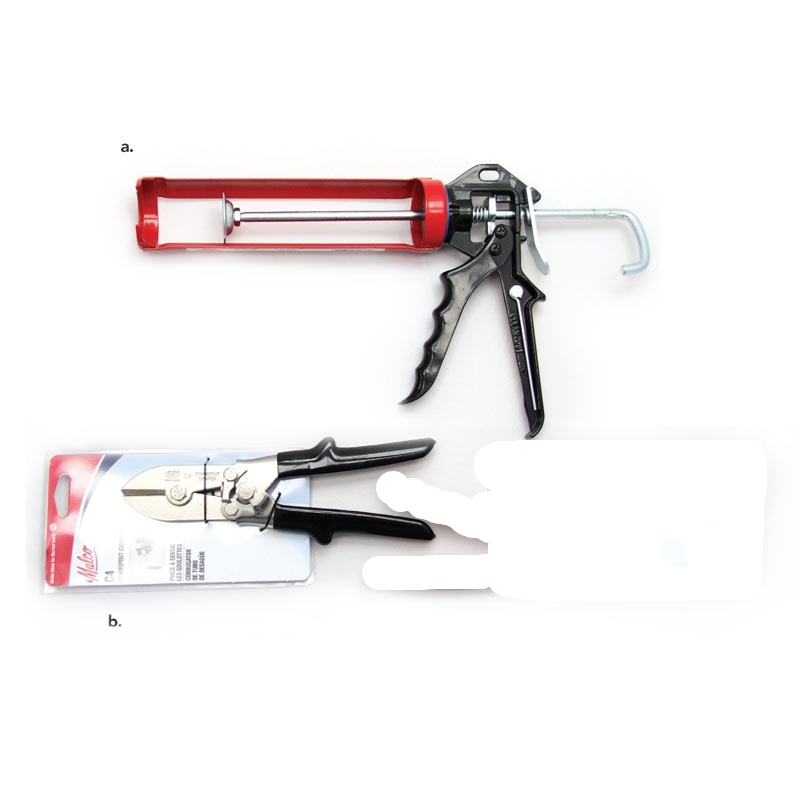 End Cap Crimpers: Available as SL1 (snap lock punch), most commonly used by installers for a louver-shaped projection on the gutter. Attach gutter to fascia board when hanging aluminium on steel gutter. Drill Bits: Used for pop rivets, two-sided design built for high speed. Nut Drivers: Magnetic deep-throat design helps keep our deep-head screws in place. Wilco Gutter Supply is a CERTIFIED DISTRIBUTOR. Which means Wilco will set-up your new machine, help you load and position it on your truck or trailer, and give you the basic run down of operation and maintenance. The latest, most innovative gutter machine on the market. This seamless gutter machine comes from KWM Gutterman, Inc. and features a polyurethane drive train (eliminating slippage due to cold weather or condensation and the need to load coil prior to transportation), chrome-plated steel forming rollers for roll forming of all standard metals with minimal or no adjustment (free-floating forming rollers produce less pressure and allow more product uniformity), push button control safety wiring, entrance and exit control selector switch, and a welded steel frame. 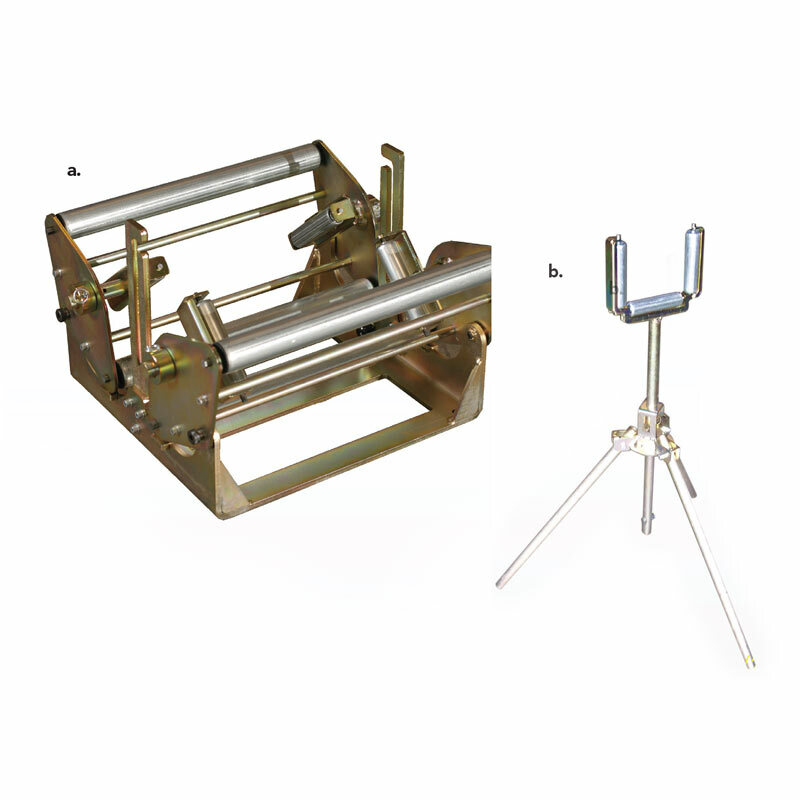 Gutter machine accessories designed for easy feed and support of sheet metal and formed gutter. Mini-Cradle recommended for gutter coil roll-offs of 150 pounds or less. Run-Out Stand: Recommended for every 15 feet of metal/gutter.